Keneilwe Mokoena is a visual artist and curator from Pretoria, currently living and working in Johannesburg, South Africa. She received a National Diploma in Fine Arts from the Tshwane University of Technology. 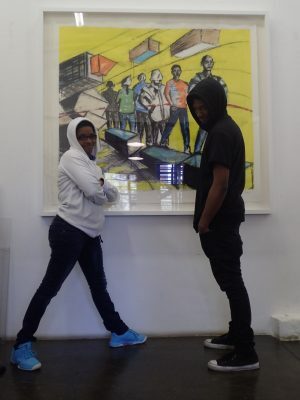 Her work has been exhibited in Pretoria, Johannesburg, Cape Town and Grahamstown. 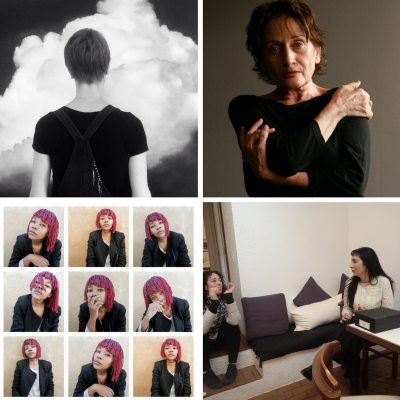 After receiving the Reinhold Cassirer Award in 2015 she was artist in residence at the Bag Factory for 3 months. Mokoena has curated several exhibitions for Capital Arts Revolution – a collective of artists from Pretoria, and Social Life of Waste art network (SLOW), a network of artists, researchers, writers, gardeners and community developers, within the discourse of waste. She is also an art facilitator and has facilitated workshops for school children in association with Capital Arts Revolution and the American Embassy. 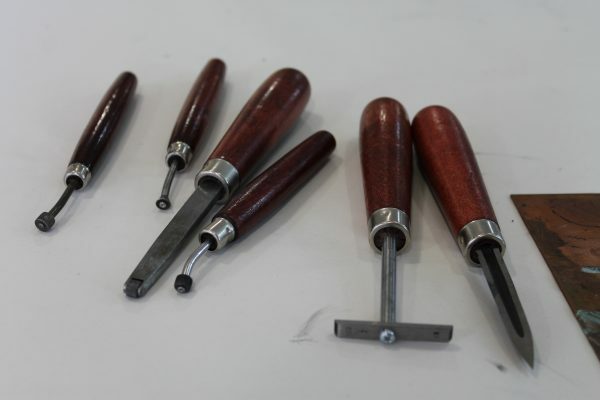 In her recent collaboration with the David Krut Workshop she produced two intricate drypoint prints and is currently working on a series of watercolour monotypes. While the majority of her works are drawings and paintings she also creates both private and public installations. A land art installation made in collaboration with fellow artist, Banele Khoza was shown at Venice Biennale 2015-16 at the South African Architectural Pavilion as part of the Cool Capital Biennale. 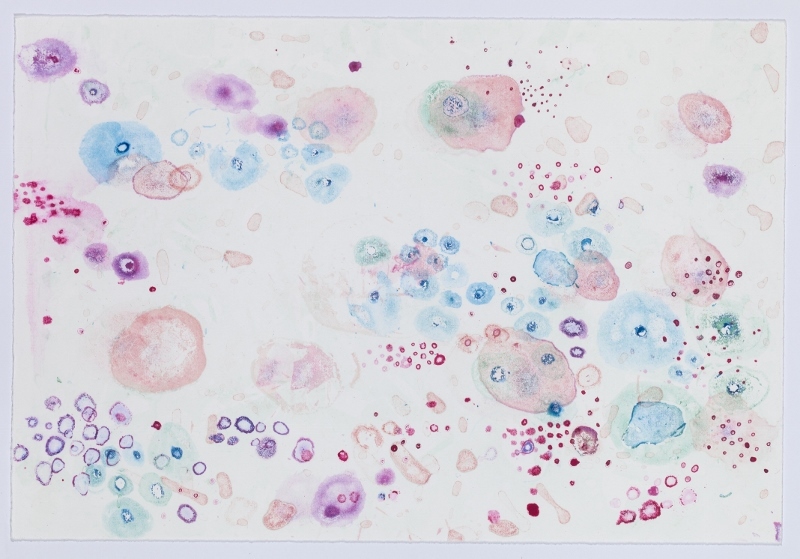 In her drawings, she depicts enlarged formations of bacteria, viruses and parasites as if they have been placed under a microscope. 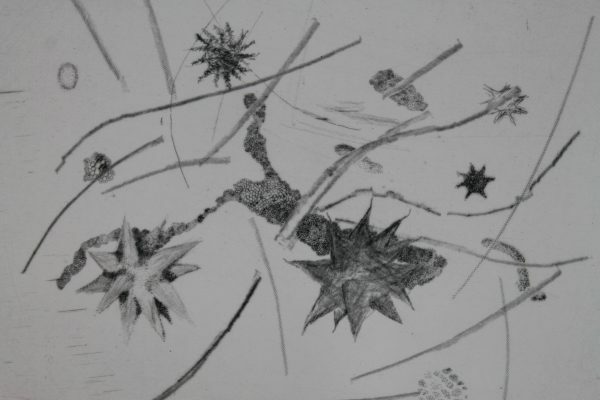 “I like to depict the finer details of the natural world”, she explains, “details which the eye doesn’t immediately see”.